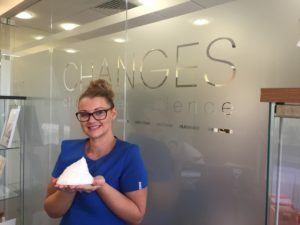 Naomi our Semi-Permanent Makeup Technician has decided she would like to start the ProChange Plan, Naomi would like to lose about 3 stone…. we all wish her luck, not that she will need it she will do amazingly!! 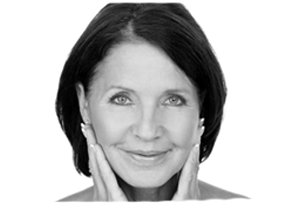 Had my consultation with Amy of Changes Clinic for the Pro Change Plan. I had watched my weight creep up to 14 stone whilst on a recent holiday and had decided that enough was enough. 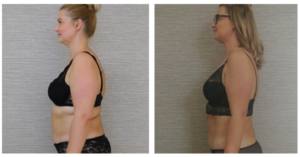 Speaking with Amy about the plan and being weighed, measured and photos taken, it was good to hear that Amy was also going to go on plan to shift 1-2 stone. This made speaking with her easy as she knew exactly how I felt. I am excited for the future to see my pictures as my body changes. After 1 week of lowering then cutting out my carbs, eating chicken and salad or chicken and veg, my order of Pro Change arrived. I had started the Pro Change plan! Day 1 I was excited to try the new foods and snacks and wasn’t disappointed on the taste front! I had the oatmeal for breakfast and was left feeling satisfied and ready to start my work for day. 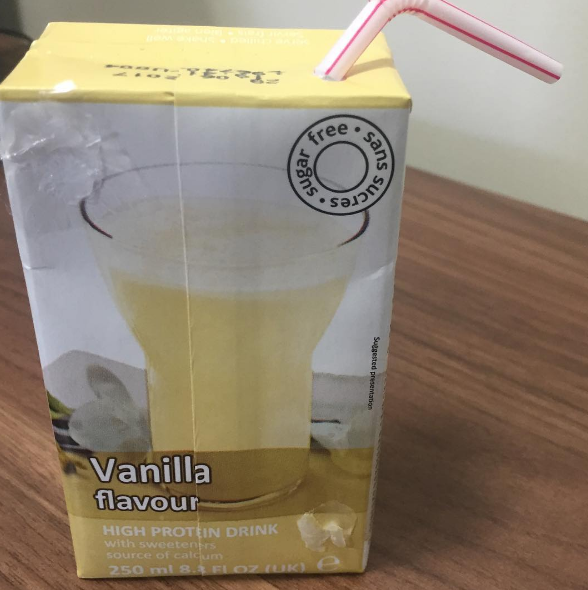 For my mid-morning snack I had the Vanilla Protein Drink and then chilli with 100g of asparagus for lunch. We have no cooking facilities at work so I made my chilli up with water from the kettle and blanched my veg with that water too. Looked good and tasted good. My mid afternoon snack was soya nuts, it got me through the rest of my working day. Arriving home I was ready for my dinner. Preparing my veg with the smell of my husbands food cooking was not as difficult as I had imagined. However, I sat watching TV that evening it would be a lie if I said I wasn’t tempted to snack. But I did realise that this was clearly more of a habit than a need. I was so used to having a glass of wine or some chocolate that it was my mind not my hunger that was speaking. I went to the kitchen and got a large glass of iced water. Not exactly the same enjoyment as a marshmallow but a lot better for me! Very busy day of assessments at work. I started early and took my Pro Change maple brown sugar porridge with me to eat at work. I had this with a black coffee, which I am getting used to now. The working day started and was reminded by my colleague to have my mid morning snack – amazing how you don’t feel hunger when you are busy. I had a chocolate protein drink, whilst completing my paperwork. Lunch time came and preparing my spicy spaghetti was quick and easy (ideal for days like this) and I had a rocket salad and cucumber with this. Note to self: must drink more water. Not hitting anywhere near the recommended 2 litres and apart from feeling a little dehydrated this is key to the plan. Mid afternoon I snacked on the banana pudding and a large glass of water. I finished later than expected so had my Mexican taco meal with runner beans which was really nice – my husband is now envious of my meals! Haha! Poped into Changes to pick up some more Pro Change plan meals. I saw Amy and she says “oh let’s weigh you quickly”! I immediately want to rush to the toilet for a wee to try and make myself as light as possible – but Amy says it won’t be necessary, so off I go to be weighed. Stand on scales and Amy and I HI-FIVE. 4 pounds off! 4 pounds in 1 week of cutting down and two days on the Pro Change Plan! Woohoo. Spent the rest of the day on a high and finish my day with a Pro Change meal. Working in London today so packed my sachets of food – very easy to carry. No making up shakes or having to carry Tupperware and pots. This morning I changed my routine and have my Chocolate Protein drink for breakfast as I am on the train. I will have my porridge for my mid morning snack. The weekend wasn’t as hard as I thought, I feel strangely satisfied with what I have eaten. 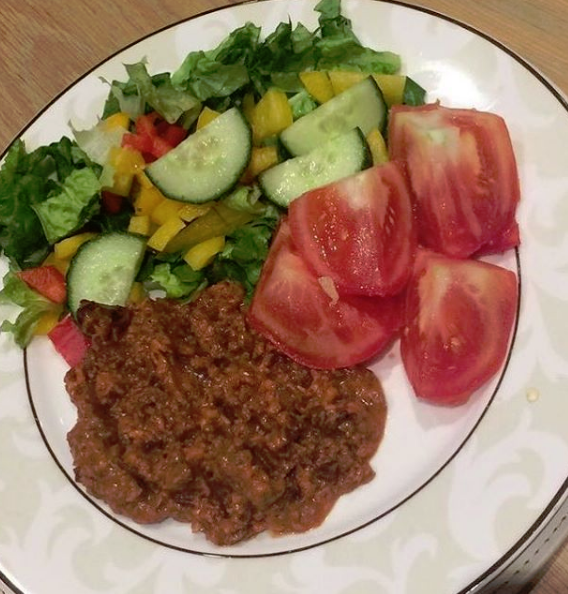 Yesterday I had the Chilli for lunch with lots of salad. Look at my artistic food photo skills, feel like I have a new calling in life…maybe not!! I have woken up and feel amazing today, I feel really like its working, never felt like this on other “diets” I have been on. I also don’t feel so bloated, which makes me wonder if it’s the dairy, as this is the one thing I have never cut out before and now I have I can see a change. OMG I have lost 6lb… 1lb off 1/2 a stone…. I am going to Italy in just over a weeks time and I hope to be 10lb less by then, I should lose 4lb in a week, fingers and toes crossed!! Whilst in Italy I will sticking to ProChange, I have to, I’m loving seeing these results. So far I have lost 17lbs, I was shocked today to feel how heavy the lb of fat was, and to think I have lost 17 of those already. I am amazed. Amy measured me on Tuesday and altogether I have lost 18 inches, even an inch each ankle – who had thought it!! I am so incredibly pleased so far, no other diet would have got me where I am today, its been rapid.